Metropolitan Commercial Bank is an established leader in digital payments and one of the fastest growing U.S. issuers of virtually every type of debit card. We are a principle member and a leading issuer of Visa® and MasterCard® debit cards and an acknowledged innovator in the General Purpose Reloadable (GPR) debit card market. In addition, the Bank is keeping pace with rapid industry evolution and the trend towards digital currencies, mobile payment apps and all that FinTech has to offer. We’ve established an impressive track record of successful collaborations with new category innovators and serve as the e-wallet sponsor bank for a number of global payment programs. 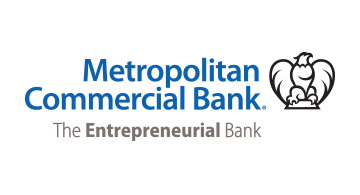 Metropolitan Commercial Bank offers end-to-end bank issuer and sponsor services spanning all verticals including debit, GPR, incentive, gift, payroll, government benefits, healthcare and peer-to-peer and cross-border payments helping industry trailblazers bring next-gen payment products to market. Moving forward, Metropolitan Commercial Bank will grow both our traditional debit card operations and our presence in the digital currency and FinTech space. We will work to expand our issuer and sponsor services and increase our mobile app, virtual account and virtual card offerings and ultimately becoming the bank of choice for domestic and global organizations involved in cryptocurrency conversion. We are the “go to” partner for those seeking to build a bridge between traditional banking and cryptocurrencies. Metropolitan Commercial Bank is known for its white glove personal service. We combined the relationship-driven banking and payments experience you would expect from a leader in the industry with an extensive suite of products and services that matches our largest rivals. We not only have the capabilities and capacity to meet your needs, we also have the ability to craft highly innovative solutions to meet your precise challenges based on an intimate familiarity with your business.